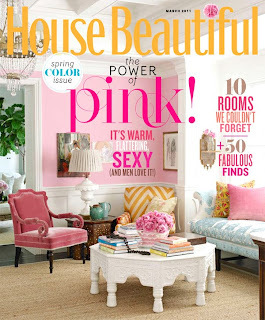 A few weeks ago, while perusing Barnes and Noble, I noticed House Beautiful's March Issue: "The Power of Pink". 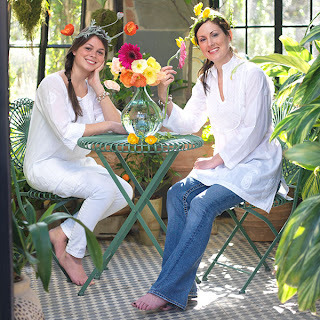 The issue celebrated pink and its many decorating uses. Due to my love of pink, I had to have this magazine. 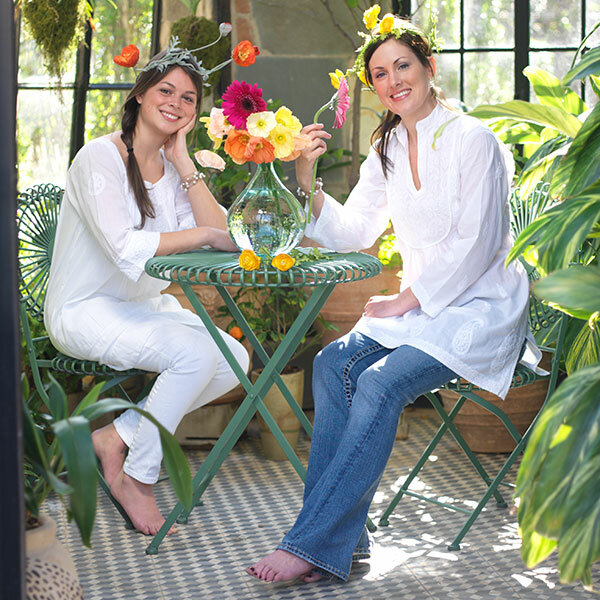 Some of the highlights from the issue are: a Q & A with Trina Turk, a Spotlight on Lilly's new furniture line, and a new favorite quote of mine: "I tell husbands not be afraid of pink--there's nothing better than a man in a pink shirt." -Mimi McMakin. I'm not sure if this issue is still on newsstands (the April issue may be out), but if it is, I highly recommend grabbing it! Anyways, enough of House Beautiful, and on to my point. While reading, I noticed a few things I liked from Wisteria, like this Starfish Garland. I was intrigued enough to check out the website. While I loved perusing their goods for the home, I don't have my own place yet, nor do I have tons of room to store things for my someday home. What I do have room for, however, is...TUNICS! 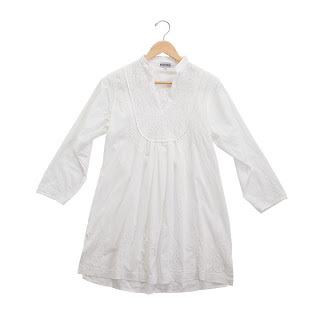 And so now, I am sharing a BIG find with you-- Wisteria has these great white tunics on sale for $14.70! 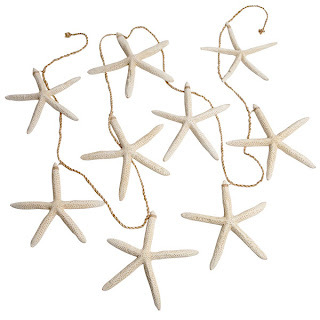 I lusted after these for a few weeks, trying to decide if I wanted one or not. They look a little long for me, but, then I realized, heck, for $14.70, I can wear it as a nightgown if it doesn't fit quite right! After deciding to get one, I had to decide which one I wanted. I wasn't a big fan of the Keyhole Neckline Tunic, so I had to decide between the Square Neckline and Mandarin Collar (see above). I ultimately decided on the Mandarin Collar thinking the neckline would go well with chunky necklaces and that it was a bit more chic. I ordered yesterday and will have to let you know how I like it once it arrives. Do you like tunics? What are your favorite summer wardrobe staples? Love this! I seriously think I might order one - I live in tunics at the lake during the summer - they are such great coverups!!! Can't wait to see what you think! 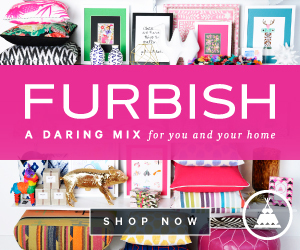 I LOVE House Beautiful and this month's is great! I dont have too many tunics, as I'm so short I swear it just doesnt do much for me, but I keep trying b/c I think they are so cute. And for that price, why not?! Have a great day! i love tunics...they are so comfortable without being too casual. Just started blogging also and love to read your blog!!! In Florida my summer staple is flip flops and jcrew are by far my favorite! Another staple is my beach/pool tote and I love the Lilly original tote!!!! 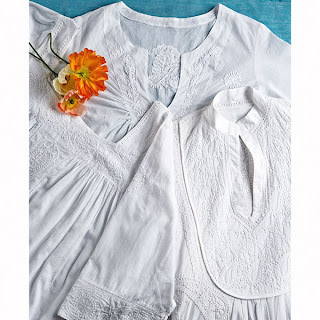 I love tunics, and I feel like you can never go wrong with a flowy, white top in the summer! So glad you stopped by my blog! I am your newest follower! Love the tunic! That tunic is so cute!! Might just have to order one! :) New follower! I have a subscription to this magazine! It's amazing! i love tunics....and I love that garland! 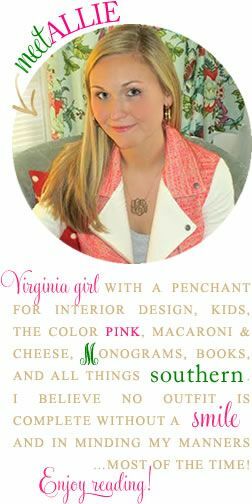 Thanks for the visit...love your blog! btw I'm doing a fun post centered around my readers :)I hope you can stop by and decide if you want to take part! I love your blog. Your style is adorable. Thanks for the tip! Of course, I had to buy one! cute tunic, so darling for Spring...love it! I have been trying to track down this issue of House Beautiful; it seems it's sold out everywhere around here! I didn't think to check B&N, so I'll be heading there tomorrow for sure. Very jealous you snagged a copy! If anyone else likes the tunic enter SPRING15 into the promo code spot to receive 15% off!